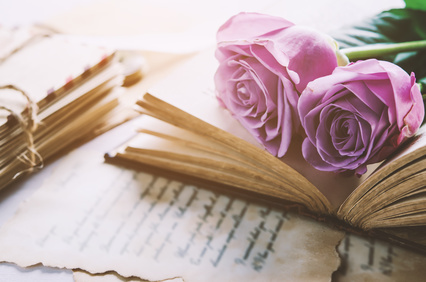 Leading on-line dating site, RSVP shares their top tips for how to pen the perfect love letter this Valentine’s Day and if you need more inspiration to get started, we’ve included quotes from the most romantic love letters of all time. Writing down your feelings by hand can help resolve arguments, strengthen your relationships and could even score you a date! A survey of more than 1260 Australians, conducted in time for Valentine’s Day by online dating site RSVP and Pilot Pen Australia, reveals that 85 per cent of people say that writing down their feelings helps them feel clearer and calmer with 55 per cent saying it helped them kiss and make up after an argument. 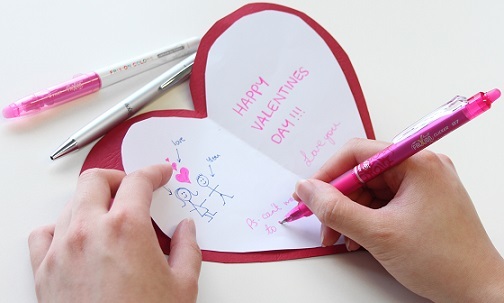 Despite the increasing use of communication via technology, 80 per cent of survey respondents said that they had hand written a love letter and an overwhelming 90 per cent said they believed there was still a place for the love letter today. This trend also extends to the most romantic day of the year, with 77 per cent of people saying they write and send cards on Valentine’s Day. Psychologist and relationship expert, John Aiken says taking the time to reflect inwardly and then picking up a pen to write your feelings down can be incredibly powerful for yourself and your relationships, helping you move through difficulties onto better times. “It seems pen power still has an important place when it comes to expressing love and appreciation, which in this day and age, is heart-warming to see,” said Aiken. Be You – your partner loves you for who you are. When starting out your love letter, just be yourself and explain your feelings in your own words. You don’t need to be the next Shakespeare in the making. Many beautiful love letters haven’t got past the thoughts in someone’s head due to stage fright. Just put pen to paper and get writing. Be Raw – don’t be afraid to open up your inner most feelings – that’s what writing a love letter is all about. Share your feelings, embrace them and own them. It’s OK to feel vulnerable. Your loved one will appreciate your honesty and openness. Take your Time – in this day and age of social media, texting and email, we tend to run on auto-pilot. Communication is fast, often reactive and immediate. When penning your love letter, get in the zone. Slow down, breathe and let your feelings flow. Get in touch with yourself and with your feelings. This will help you to express yourself in an authentic, meaningful way. Plot it out – if you run out of steam after the first para, then take inspiration from plotting a novel – look back to the past and how you met, comment about the present and anticipate the joys of the future. Presentation – express your style. A love letter can be anything you want it to be – scribbled on the back of an envelope, crafted on parchment with a beautiful ink pen, or just a few sentences on scrap paper. And if you’re worried about making a mistake – choose an erasable ink pen so you can start again. 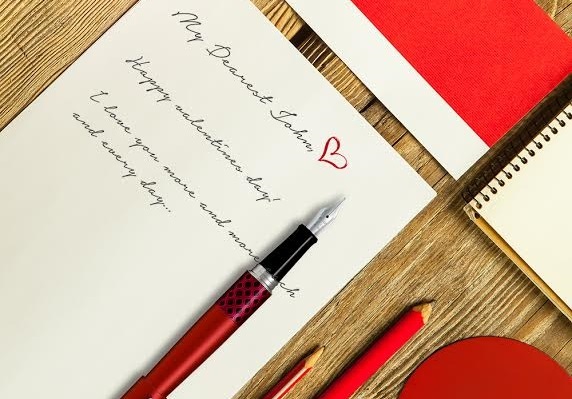 John Aiken says that the beauty of a hand written love letter is that it can be kept and cherished to maintain long lasting, heart-warming memories of your love that can be re-visited for many years to come.